This last week, while I was on spring break, my wife and I went to Fredericksburg, TX. While we were there, we took a trip over to Luckenbauch. My wife had visited in college and she always wears a shirt from there, so I wanted to go. 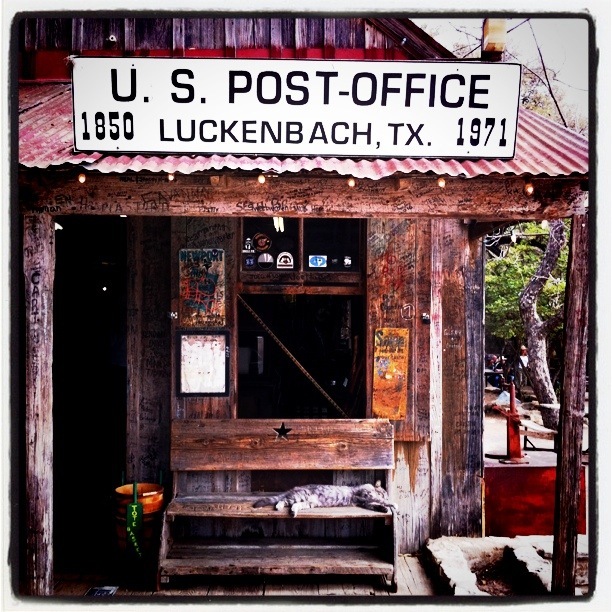 The town slogan, which appears on her t-shirt is “Everybody’s Somebody in Luckenbach.” And in Luckenbach that is true. The population is around 3. There are a few houses that dot a small country road, a dance hall, which is what they are famous for, post office, which is actually a store with a bar in the back, and a food stand. Here, truly, everybody is somebody. But jump to where we live, Dallas-Fort Worth, population over 5 million. Movies stars, models, Fortune 500 CEO’s, millionaires, and even billionaires live in the DFW Metroplex. In the world’s eyes, everybody in Dallas Fort Worth is not somebody. However, in God’s eyes, everybody in DFW and the world is somebody because we all are created in God’s image (Gen. 1:27). We all are valuable, even if the world says otherwise. It means that we must see everyone as important. Everyone deserves our attention and our time, even the person everyone can’t stand. Lets face it. We don’t naturally see everyone as important. We don’t naturally think everyone deserves our attention and time, especially those who are hard to get along with. So what do we do? How do we get past this? We must preach the Gospel to ourselves. God thought we were important. So important that He sent His Son to die on the cross for our sins. We were not clean when Jesus came to die for us. We were smelly, rotten, sinners, who wanted nothing more than to exalt ourselves over God. When we think about the magnitude of what Jesus Christ did for us, it should give us reason to treat others as equals because we all equally need Christ to cleanse us of our sins. But we also must remember that only as Christians, are we able to actually treat others as equals because our heart has been changed by the power of the Gospel. No amount of personal will power or external forces will change our attitudes toward others, only a changed heart will do. A changed heart that only comes through faith in the Gospel.